Teaching and Learning, All at the Same Time. Having attended multiple different schools, including home school, I am familiar with a wide variety of curriculum. When I was a student in grade school I didn’t care much about what curriculum my teachers were using or what I looked at in home school, because as a child I didn’t know there were differences to be concerned with. However, now that I am working at a private school and teaching my brother and sister, it is extremely important to look at the style of teaching and accuracy of information within the textbooks. If you are an educator working in the public school system and are reading this, I will be straightforward with you: I am anti common core standards. Even if you are in Texas and want to claim that Texas hasn’t implemented Common Core, you must admit that TEKES standards are cutting it pretty close. That being said, I am for Classical Education. Let’s go back to the roots of teaching, which isn’t teaching to a test, it’s teaching a child HOW to learn and be self sufficient beings. I want to highlight two things we are using in Focus Preparatory Classic School, and discuss why I like them better than anything I had growing up (save for the two years I was able to be home schooled). Each Lesson is very step-by-step and easy to follow for teachers, and many students are able to read it themselves and do the problem sets completely independently. This is why many home school families choose Saxon. My brother tends to be very independent, but my sister needs the extra guidance. Perk of homeschooling: they both get what they need. The same story goes at Focus Prep. I know it is only November, but I am already researching and getting price estimates for next. Looking on the Saxon website, I found that they even have summer school curriculum, which I am now highly considering. My new favorite thing is Tapestry of Grace. History, Geography, Writing, Social Studies, Literature, and more all in one package. The year is already planned out, it is just up to the teacher to choose what lessons and resources they are going to implement in class. If you are considering homeschooling, or are looking into a new curriculum, there is a free three week sample at the TOG website. Literature and writing studies are included with the materials, making it easy to give appropriate assignments and to allow students learn more about the cultures. It is amazing. If you choose to get a sample or are already looking into this curriculum, don’t be overwhelmed: no one teaches all the lessons or uses all the suggested outside texts. It is up to you to choose how your weekly studies will go. Last week we learned about ancient China. 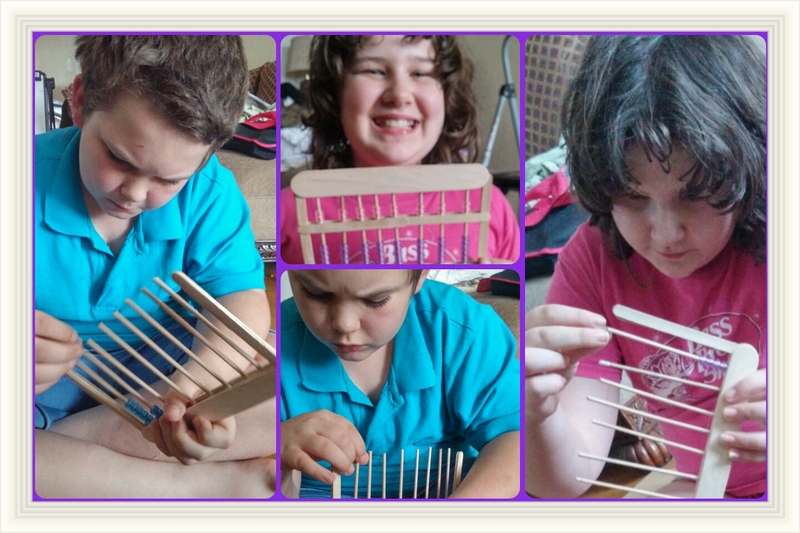 The kids were super excited about making an abacus and learning how to use it.